This page is for gifts over $100. Select the item and through Paypal you can make a contribution to our cause that will allow us to purchase the specified item. A PayPal account is not required. Prices listed here include shipping and handling. 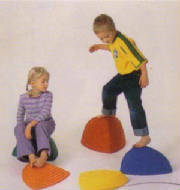 Hilltops help children estimate distances and feel comfortable with heights. Each top is provided with rubber feet to prevent slippage and protect the floor. 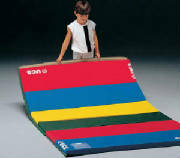 Folds into two-foot sections with a 2 inch Velcro strip along the edge to connect multiple mats. Firm and rigid polyethylene foam which is light and portable. Latex free. With a simple touch, the computer responds and allows students to make selections, move objects, pull down menus, and draw graphics. Attached to a computer monitor, thr TouchWindow screen is a safe, eay-to-use and intuitive component of an active learning system. LCD monitord deliver sharp graphics and bright colors in a minimal amount of space. 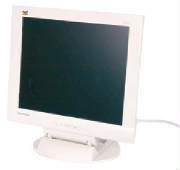 Using fingers instead of a mouse, the computer allows students to make selections, move objects and pull down menus with the fastest, most accurate touch control to the standard mouse-compatible Windows and Macintosh software. Life Point, Inc. is a 501(c)3 organization. All donations are tax deductible.